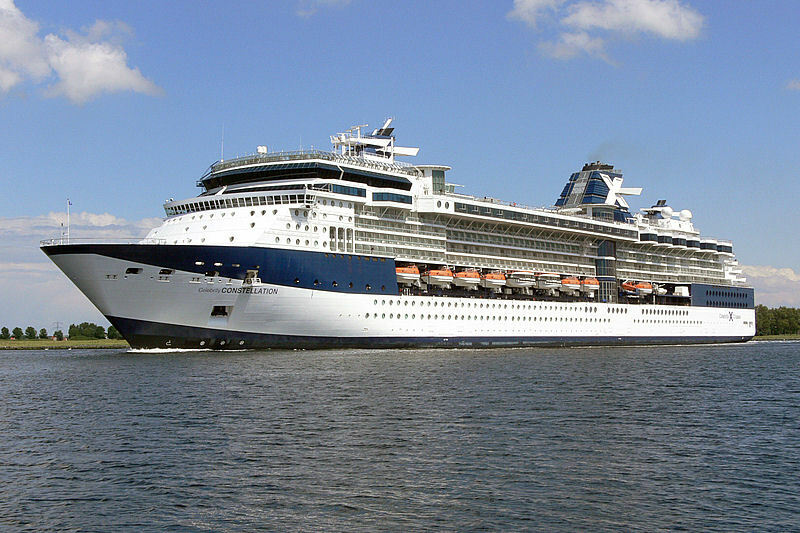 The Celebrity Infinity is a ‘Millennium-Class’ Cruise Ship which is owned and operated by Celebrity Cruises. Launched in 2001, the exclusive cruise ship was renovated in 2007 with many new features added and updated decor and furniture throughout the ship. The ship offers a luxurious, sophisticated environment for customers to enjoy the ultimate cruise. 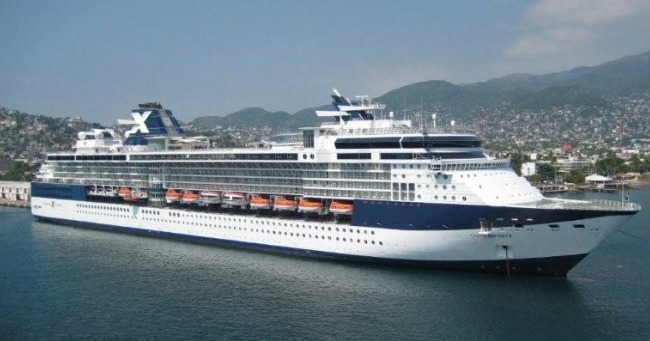 Celebrity Infinity has a capacity for 2,046 passengers and 999 crew members. 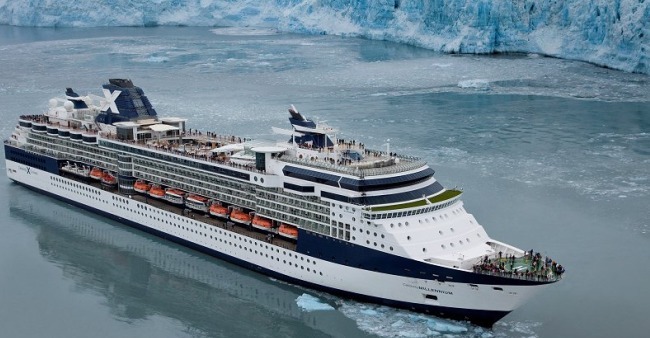 This year the ship will offer summer cruises around The British Isles and Norwegian Fjords and winter cruises to South American destinations and The Panama Canal. With restaurants, specialty restaurants, cafes and 24 hour room service, guests will always have access to some of the best international cuisine around. The main dining room, The Trellis Dining room is a 2 storey restaurant offering guests a wide range of international cuisines in luxurious and stylish surroundings. For more casual dining, passengers can enjoy a relaxing atmosphere in the Cafe al Bacio, day and night. The Ocean view Cafe serves coffee’s and delicious food throughout the day with stunning ocean views for guests to admire as they dine. Don’t miss a visit to the unique Qsine restaurant which serves cuisines from around the world, with an inventive iPad menu and wine last for interactive dining. Celebrity Infinity boasts a host of bars and clubs, whether you want to take some time out in the day or relax at the end of a fun packed day, there is always somewhere to sit back and enjoy an exotic cocktail or iced cold beer. The popular Martini Bar has a selection of vodka’s from around the world, so sit back in the comfortable chairs as the the highly skilled bar staff mix the cocktail of your dreams! The Cellar Masters Wine bar is a great place to meet and socialise with friends and family, with the chance to sample some of the finest wines from around the world. For all those night owls, the on-board night club allows passengers to dance the night way to all the latest tunes selected by the resident DJ. The Celebrity Infinity always has something going on, day or night for passengers enjoyment. During the day passengers can chill out at one of the 3 pools or hot tubs, take a stroll around the deck or partake in a spot of duty free shopping. The more energetic passengers will love the on-board fitness centre with fully equipped gym and highly qualified instructors on hand at all times to offer advice. Other passengers may want to take some time out and enjoy some relaxation and rejuvenation at the exclusive Aqua Spa which offers various massages, facials, acupuncture and body wraps. As night approaches, Celebrity Infinity comes alive with numerous cabarets, shows, comedy acts, circus shows, live music and much more on offer throughout the various lounges, bars and theatre. The deluxe 2 storey Celebrity Theatre has nightly performances from many talented performers that will enthrall and enchant passengers. New UK cruise forum coming soon! Be among the first to join and get cruise news, giveaways, special deals and updates from the forums. Join our other members and get cruise news, special deals and updates from the forums. Cruise-Reviews.co.uk - New Forum For Cruise Reviews! Cruise-Reviews.co.uk is a new cruise forum for UK passengers to review cruise ships that they have been on. As a community led project we aim to offer full transparency and carry no advertising. Copyright © 2019 Cruise-Reviews.co.uk All rights reserved.